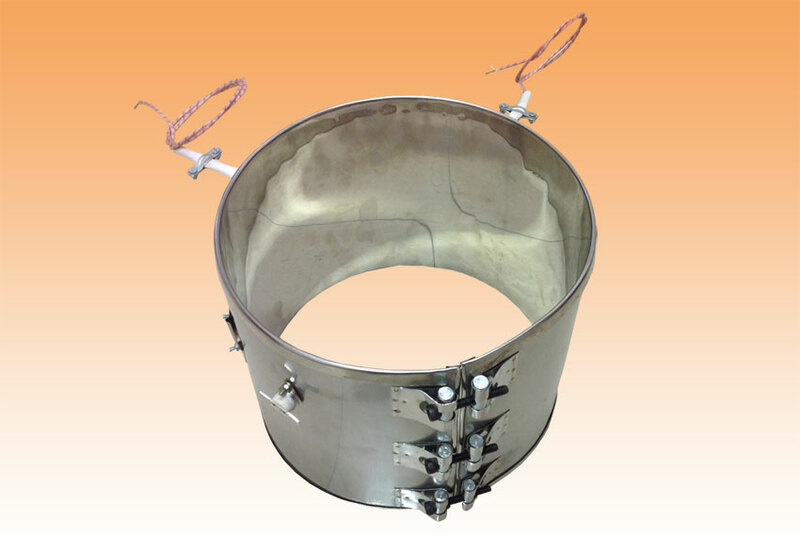 Mica insulated Heaters consist of electric resistant ribbon / round wire element covered with zinc plated MS, Brass or SS sheet with clamps. Size 8 terminal connections as per requirement. Low cost electric heating of plastic processing, rubber vulcanizing, Drums, Barrels & cylinders etc. Max. Watt density: 35 W/Sq. inch. Max. surface lemp. 300 Deg. C.